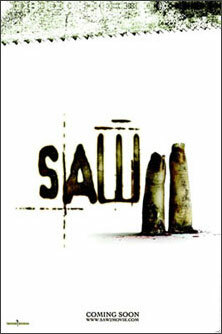 Taking exception to the depiction of severed fingers, the Motion Picture Association of America has nixed this poster for the movie Saw II (tagline: “Oh yes, there will be blood”). Lions Gate Films apparently distributed the offending marketing materials to various Web sites without MPAA approval and is now backtracking. The studio seems to have altered the creative, as seen on the movie’s official site, by enlarging the fingers so the severed area is not seen. The film opens around Halloween.